BUSINESS SPOTLIGHT: Cafe Don Pablo Roasting Co.
What makes a great cup of coffee? Growing and roasting only the finest coffee beans makes for a delicious cup of coffee. Café Don Pablo Coffee Roasting Co. is a family owned company and they pride themselves in bringing their customers fresh roasted specialty coffee. The beans are slow roasted in small batches to ensure they reach optimum flavor and freshness. People who appreciate a great cup of rich, aromatic, eye-opening coffee can taste the difference in the fresh just roasted product versus the competition that roasts by the metric ton and sold by huge corporations. roasted product versus the competition that roasts by the metric ton and sold by huge corporations. Founded in 2004 Café Don Pablo uses only the largest, most desirable Arabica beans, grown in nutrient-rich volcanic soil in the lush mountainous terrain of the world’s coffee growing regions. These are award winning beans cultivated by skilled farmers whose methods, knowledge and passion for coffee have been handed down from generation to generations since the very first seed was planted. 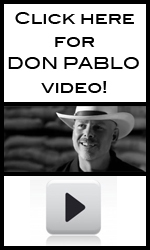 Café Don Pablo and Pablo’s Pride brands of coffee is the number one specialty coffee sold at Costco and Sam’s Club. Outselling national brands three to one Café Don Pablo coffee wins hands down every time. Café Don Pablo and Pablo’s Pride bring good coffee at an affordable price to your home. If you are new to the Don Pablo brand, visit Costco or Sam’s Club to purchase what will become a staple in your home.